The IANA Stewardship Transition process may have started more than a year ago, but last week it reached its pinnacle with the publication of the compiled Proposal to Transition the Stewardship of the Internet Assigned Numbers Authority (IANA) Functions from the US Commerce Department’s National Telecommunications and Information Administration (NTIA) to the Global Multistakeholder Community” by the IANA Coordination Group (ICG). Now, it is time for all of us to tune in and share our views on this very important proposal. This is an historical moment which we can all be part of. I would like to encourage everyone to read and reflect on the ICG proposal, participate at the webinars and submit their comments to the ICG’s process. The Internet has consistently been shaped and evolved through bottom-up and inclusive processes. The IANA Transition process is no exception and everyone is invited. In this context, the ICG is now inviting the global Internet community to review, reflect and deliberate on the proposal and asks all interested parties to submit their comments by the 8th September 2015 at 23:59 UTC. What is being proposed for the transition of the IANA stewardship? Why is the ICG seeking public comments? What should commenters focus on? At the same time, in parallel to the ICG’s proposal, the Cross-Community Working Group (CCWG) on Accountability has just released its second draft for public comment. 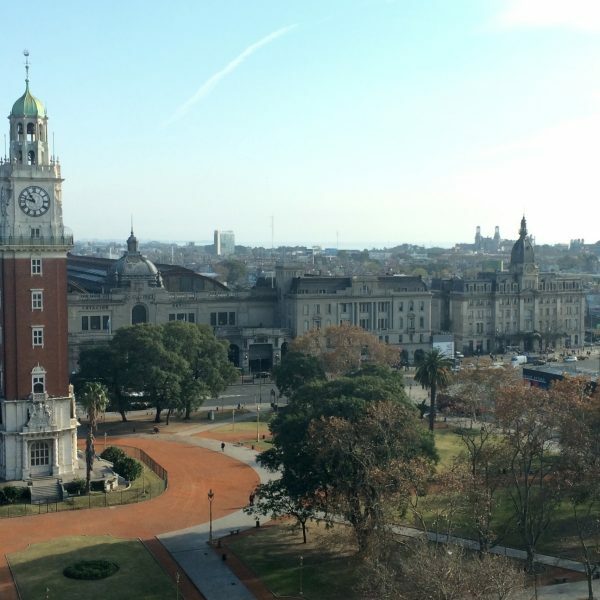 For the past months, members of the CCWG-Accountability have been working on enhancements to ICANN’s accountability framework that have been identified as essential to happen or be committed to before the IANA Stewardship Transition takes place. This is just as an important process as the ICG one and it significant that the community pays similar attention to these recommendations. 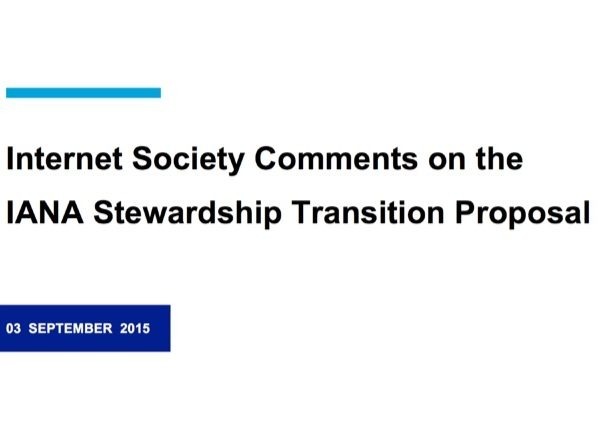 Finally, last week, the Internet Society released a policy paper entitled: “Perspectives on the IANA Stewardship Transition Principles”. The paper is a contribution to the ongoing discussions regarding the IANA transition process. Like all other interested parties, the Internet Society is contributing to this process. As we have previously stated “ a successful transition [can help] reinforce the value of the collaborative, multistakeholder model”. What is currently taking place should be considered a milestone in the administration and management of the Internet. In one of my previous blog posts, I have said that this transition has always been in the cards – since 1998 to be precise. We have come a long way. We now have a final proposal and a global Internet community that is more mature, more diverse and more committed than ever before. In this spirit, we should continue to show our support and help shape the future of the Internet. P.S. The NTIA’s Larry Strickling has also published an article asking for comments: Let Your Voice be Heard on IANA Transition.